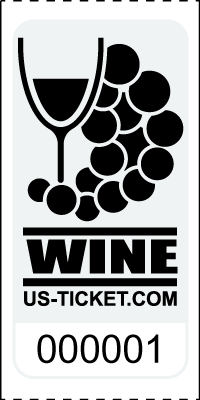 Wine Drink Ticket / Bar Ticket Roll. Use as a concession ticket for parties or events. This 1"x2" "Excite" Bar Ticket / Drink Ticket is printed on high quality bright white paper for a more attractive, colorful ticket!